Kris Normandin is a results-oriented talent management professional with over 25 years of experience in a variety of industries. She has a successful record of leading large-scale, enterprise-wide programs in global organizations that include building leadership curricula, creating competency models, designing performance management systems, and establishing employee affinity groups. Her ability to connect and collaborate with stakeholders consistently results in integrated and strategic solutions. Kris feels strongly that a diverse workplace leads to high performance and innovation. She has led efforts to assess organizational practices and identify systemic barriers to performance and advancement. Her work has resulted in extensive collaborations with leadership teams to identify and deploy new practices to attract, engage and develop a wider diversity of talent to organizations. 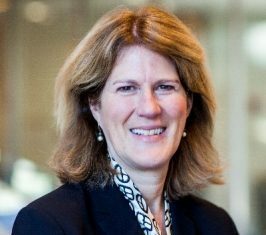 Over her career, Kris has held internal talent management positions at Deloitte, Simmons School of Management, Covidien, BankBoston, and The Boston Company where she led efforts in leadership development, 360° feedback and coaching, organization design, performance management, team development, and change management. She holds an M.S. in Training and Development from Lesley University and a B.A. from Denison University.